According to the Tea Association of the United States, about half of Americans consume tea on any given day. Most of that tea is iced and served either ready to drink or from tag bags; think iced tea dispensed from a soda fountain. In recent years, though, there has been an uptick in the sales of loose teas. Does the idea of loose leaf tea scare you? Seems like too much work or worried you’ll end up with a bitter taste? Not to fear. Loose leaf tea allows you to enjoy all of the unique and distinct flavors of tea in its optimal healthy form. Bagged and packaged tea is sometimes overly strong and bitter because it brews so quickly and consists of small bits of the tea leaves. 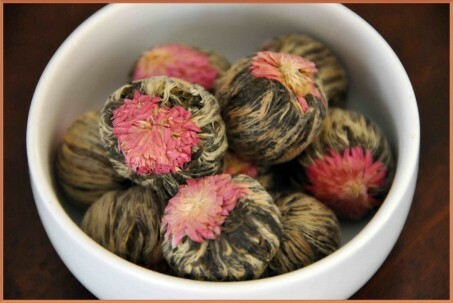 In our loose teas, you will be able to see whole flower buds, tea leaves and even dried pieces of fruit. You won’t find that quality in store bought tea bags. So if you are new to drinking tea, or are looking to expand your options, it’s important to know just how beneficial tea can be. There is a reason this soothing and aromatic drink has been around for over 500 years (we can thank Chinese merchants for bringing it to the western world). Tea is not only versatile – there are thousands of blends of tea, each with its own flavor – the right kind of tea also has numerous health benefits. 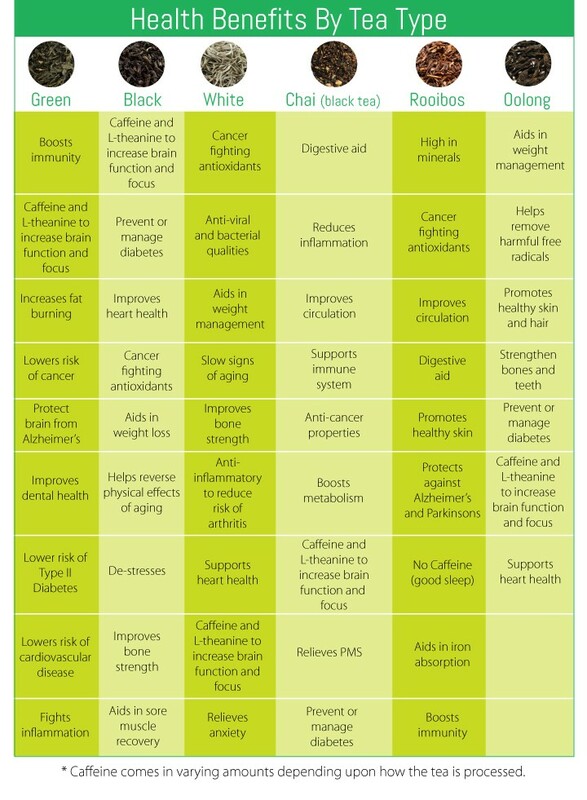 Here is a list of just some of the benefits of tea. The go-to tea for weight loss is the green variety. The reason? 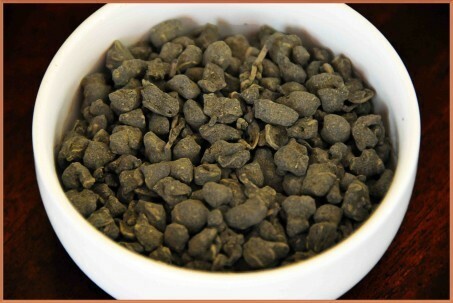 Non-oxidized green tea is high in catechins, a natural antioxidant. Antioxidants are nutrients that protect your cells from damage and help overall body function. You’ve heard antioxidant-rich foods like spinach and nuts touted for years, but the health benefits from green tea are just as strong. A study from the American Society for Clinical Nutrition looked at two groups of Japanese men: one who consumed a bottle of tea containing green tea extract with 690 mg of catechins and one without extract that contained only 22 mg of catechins. So you might wonder, “Does tea make you lose weight?” Look, you won’t be able to wash down a Big Mac with green tea and lose weight. But green tea certainly aids in the weight loss process, and paired with exercise and a healthy diet, can speed up your progress. Sure, the warmth of a freshly steeped cup of tea is soothing in and of itself. Curling up with a steaming mug and a blanket is good for the soul and the body. Chamomile, from the plant species Matricaria Chamomilla or Chamaemelum Nobile, is an herb that has been used for hundreds of years to calm and even induce sleep. The tranquility is made up of chamomile, rosehips, peppermint and more. This blend of calming ingredients can be consumed about an hour before bed to help with stress relief and result in a better night’s sleep. Since it does come from a flowering plant, if you have a severe ragweed allergy, try another one of our soothing comfort teas. White tea is made from the same plant as green and black teas, Camellia Sinensis, but it is picked when the plant is very young. White tea is withered and dried only as opposed to the oxidized black teas. Since the buds and leaves go through very little processing, white tea contains high levels of polyphenols, which are naturally occurring nutrients that include catechins, tannins, theaflavins and flavonoids. Another study that revealed similar cancer prevention benefits suggests that three cups of white tea a day is the recommended level of consumption. Once brewed, white tea is actually a light yellow color. I‘ll let you in on a secret: If you were to ask me which is the best tea to drink, I’d say white. The subtle flavors – floral, sweet or spicy – in addition to the white tea benefits make it my favorite. 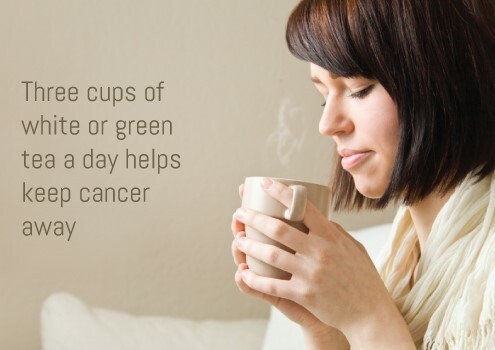 Green tea has also been proven to have cancer prevention benefits. Since green tea is high in polyphenols and is an anti-inflammatory, this tea can help prevent and slow the growth of cancer cells. According to a team of researchers at Penn State University’s College of Agricultural Sciences, green tea can boost your metabolism. Another type of tea that boosts metabolism is oolong. Oolong tea. In addition to Oolong’s high amount of antioxidants, this tea will help you burn fat especially around your upper arms and tummy. 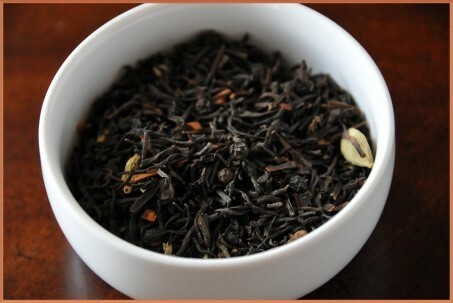 Our Brew Away the Blues tea can be steeped multiple times and is a unique blend in the United States. Infused and blended teas have been used for generations as a home remedy to many illnesses. For example, ginger’s anti-inflammatory agent has been found to block headache-causing swelling. Ginger is also great at soothing an upset stomach – didn’t your mom ever give you ginger ale when you were feeling nauseous? Be sure to drink a cup of tea with ginger when you feel a headache or stomach ache coming on. Nettle tea has antihistamine properties, similar to that in the over-the-counter medicine taken for allergies. This tea takes longer to brew, but can relieve those pesky allergy symptoms. A particular type of catechin called Epigallocatechin Gallate (EGCG), found in white and green teas, and to a lesser degree in the fully oxidized black teas, has been proven to fight against the flu virus. A 2008 study from Wuhan University in China found that EGCG effectually inhibited the influenza A virus. 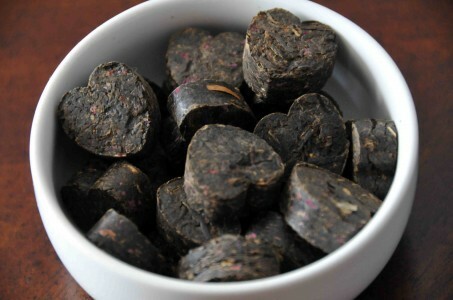 Ginseng root and leaf has been long used to boost energy and promote health. Rooibos (pronounced roy-boss) is a South African herbal blend that comes not from the tea plant Camellia Sinensis but from a plant in the legume family. It is consumed like tea and is a bright red color once brewed. 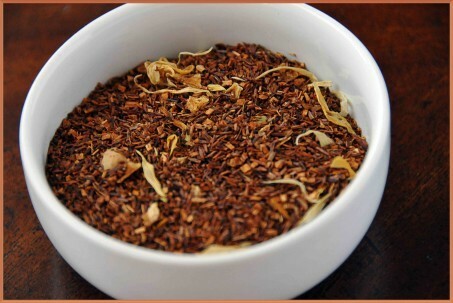 Rooibos is chock full of antioxidants as well as enzymes that fight the aging process. Antioxidants can help soothe skin and fight acne-causing inflammation, so this is a great option for those of us fighting pimples and blotchy skin. If you want to ward off bad breath, drink black tea, which contains antioxidants that prevent plaque from clinging to the teeth and stops the growth of bad breath-causing bacteria. This might seem counter-intuitive, since we think of tea and coffee staining our teeth, but studies show tea also prevents decay and promotes good dental hygiene. White tea has also been proven to prevent the aging process by combating the breakdown of collagen and elastin in the skin, which lead to wrinkles. Thanks to its anti-inflammatory components, white tea is an important supplement to your skin care regime. Toxins build up in our bodies over time, adding stress and pressure to our organ function and blood flow. Some teas also contain probiotics, which are healthy bacteria or yeast that keeps our body functions efficient. Teas blended with peppermint, which has been shown to improve gastrointestinal health and help with constipation, taste dessert-like and provide enormous health benefits. Perhaps the most common reason to reach for tea is for a jolt of energy. If you are like me, you can’t even form sentences in the morning until you’ve had your first cup of caffeine. And this is more than a feeling. Studies have also shown that those who drink tea have longer attention spans and are more alert than those who do not. A cup of tea after lunch can provide the perfect pick-me-up for the typical afternoon slump at the office. English Breakfast or Irish Breakfast, both black tea blends, are excellent choices for starting your day off right. When I tell you that tea is good for the heart, you might think I mean meeting your loved one for a date over a cuppa and cookies. Sure, that’s true. But tea is literally good for your heart as well. Regular tea drinking has also been shown to decrease the risk of cardiovascular disease. Further, a study from University L’Aquila in coffee-loving Italy showed that tea helped those with hypertension as well as those with high blood pressure. A spicy and zesty chai tea, would be the perfect every day cup to get the benefits of the numerous botanical components of chai. Just a few benefits of chai tea include anti-cancer properties, boosts immune system, anti-inflammatory, and it’s chock full of antioxidants Raspberry leaf tea can help those with gastrointestinal tract disorders, respiratory problems, heart problems, diabetes and even in certain stages of pregnancy (consult your doctor first before drinking if pregnant). I have had Green Tea every morning and found that I was much more relaxed and focused throughout the day. Looking for a tea that will help me concentrate for longer? Which one do I get? Good Day! Indeed Green Tea is perfect to keep you focused,there are many health benefits that have been explored in relation to green tea, including mental acuity. Because of the antioxidants found in green tea, many think that the brew is able to counteract the damaging, oxidizing effects of free radicals, which can negatively impact mental function in the first place. This tea is a superb tea for memory enhancement which is not lacking in terms of other health benefits either. However if you do wish to bolster up your concentration and focus on your studies or work life; in addition to green tea the following will be beneficial: 1.Ginkgo Biloba: Likely the most well known herb in terms of providing a memory boost is ginkgo, early studies have shown the herb’s ability to protect nerve cells, and this positive effect has been studied in Alzheimer’s and dementia patients with pretty powerful results. Ginkgo boasts two different compounds that are thought to be responsible for these effects, flavonoids and terpenoids, which are both found in the leaves of the plant. Although popular in supplement form, ginkgo also makes an excellent tea for memory retention, and its positive neurological effects make it a popular constituent in many herbal tea recipes. 2.Ginseng: Ginseng is perhaps best known for providing an energy boost, but this may actually be a pleasant side effect related to enhanced mental acuity. In early studies, lab mice on ginseng were able to navigate test mazes more quickly than those who were not, perhaps pointing to the herb’s ability to sharpen mental focus. 3.Rosemary: Most people associate rosemary with savory seasoning. However, rosemary can help reduce stress and therefore improve concentration. Small studies have shown that rosemary may be able to counteract high cortisol levels in the body, high levels which can contribute to a loss of focus and agitation. Rosemary is common in many herbal tea recipes due to its unique and familiar flavor. The above herbs are available as a herbal infusion to the green tea or can be taken straight with hot water. Brewed beverages have been waking us up and keeping us focused for a very long time. But, tea shines where coffee dulls in that some of the most antioxidant rich leaves and herbs can also provide other healthful benefits, including preventing neurological damage by free radicals. A tea for memory retention and focus is just a cup of hot water away, and exciting studies back the herbal benefits that have been enjoyed in ancient medicine for thousands of years.